The stock Azumi Speed 5 (Aka Speed 5B) firmware, ROM or flash file can be used to refresh the device model’s firmware. It can also help with clearing malware and viruses and well as correct general firmware crashes resulting from corrupted files. 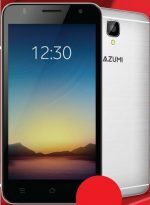 For those familiar with MediTek based devices, the Azumi Speed 5B should not be an issue. Anyone requiring a step by step guide or just assistance on this particular device model can post here.